The Bollywood VIP captivates audiences on the big screen. 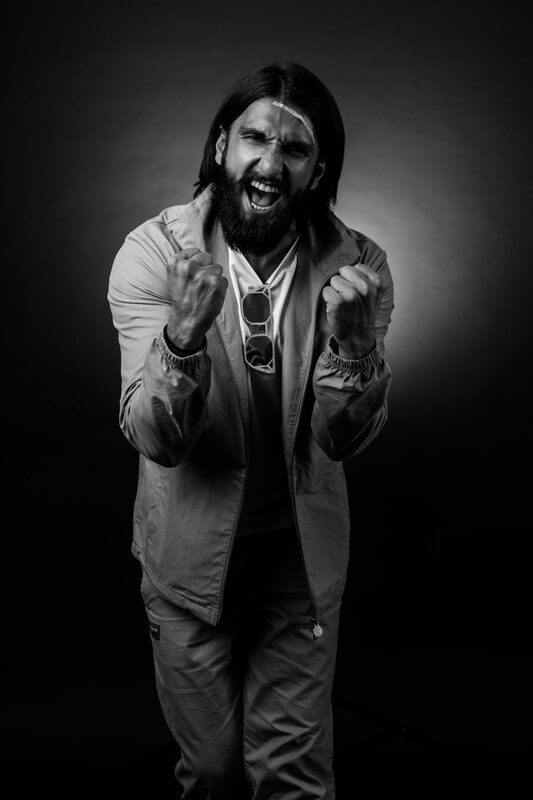 Off set, Ranveer Singh stays true to his roots and quirky looks. 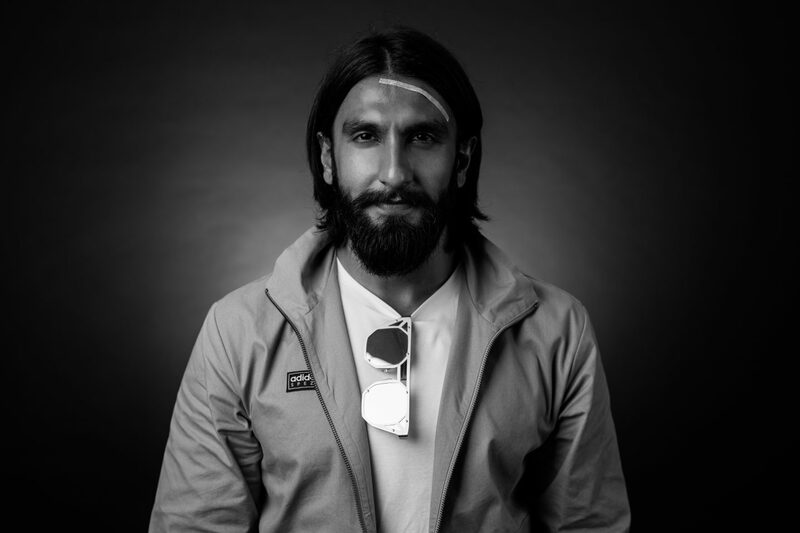 Ranveer Singh is nothing short of a superstar. The hugely popular leading man in mainstream Hindi films skillfully combines sport and art on set: acting, singing, dancing, and performing. Small wonder then that the 32-year-old approaches his craft with the humble heart of an athlete. Fondly remembering the time when he had nothing but hopes and dreams, Ranveer values each opportunity that comes his way. The down-to-earth entertainer also finds time to support his favorite football club Arsenal, while rocking a unique, constantly evolving personal style. This is Ranveer Singh’s game plan. With the success and fame you enjoy, how do you keep your feet on the ground? My roots keep me grounded. My friends and family have been by my side encouraging from the beginning. They’ve seen me grow and evolve. Having been at the bottom rung of the ladder, I have a fond and vivid memory of my struggling days. It was important for me to face rejection and climb to where I am today: in a position doing what I love. Those learnings, along with the people, are the things I always fall back on. Both actors and athletes need to train for an upcoming feat. How do you coach yourself for a big role? The only thing I ever wanted to be was a performer. I wanted to be what we in India call ‘a hero’ [laughs]; a leading man in mainstream film. My motivation is inherent, always flowing out of me. I wake up every day and I can’t wait to get on set and on stage. It doesn’t feel like a chore. I don’t feel an iota of dreariness. Also, when you’re working in mainstream Hindi films where there’s a lot to do physically, you have to train like an athlete. If I have an ankle injury, for example, I won’t be able to dance, and that’s catastrophic. So conditioning is important, too. I know you’re a big football fan. Do you play yourself? What other sports do you do? Yes, football is my go-to sport. It’s the best type of cardio. I also play cricket, basketball, squash and swimming. Sport not only helps me perform, it also gives me joy and self-confidence. I’m a happier person when I’m a fit person, and I can cheer other people on. There’s a clear connection between physical and mental; healthy body equals healthy mind. You exude positivity, but something that comes with your territory is criticism. How do you process that? In the limelight, you’re out there for everybody to judge and criticize. I know that at any given moment I will always give my everything. Having that honesty in my heart helps. The only thing I can command is how hard I work and how much I pour into it. The rest is out of my control. Sure, I take notes and see what I can do better next time. But I don’t let myself be bogged down by criticism because I know I did the best I could. Working in films is always a collaborative process, just like team sport. Be it success or failure, it‘s not just because of me. It is the work of the team that went into it. I don‘t actually chase success, or the end result. The process is the prize.Going out and performing, learning, evolving as an artist, expressing my creativity, seeing it manifest, all of it is the reward. Actors often get asked how they get into character. I’d like to learn: After the dust settles, how do you transition back to you? When diving into a project, I give a heads-up to my team and my family. I tell them, “This period is going to be difficult for me, so please understand I might be on edge.” When ones emotions are being sapped on a daily basis, you can be a handful to deal with. I’m good at letting work be where it needs to be. Once I take off the so-called war paint and have a shower, I jump into my trusty old pajamas. It’s an important ritual, returning to my comfort zone. Comfy PJs aside, where do you get inspiration for your ever-changing style? When the success first hit me like a truck, I didn’t know how to deal with it, and I became a conformist. I would behave in a way that was in line with people’s expectations, and this was reflected in my personal style. Then, I had a back injury during my third film. For a long time, I was sitting at home, scared I might never dance and perform again. That experience triggered an evolution. I started being more honest in every decision I made, speaking and behaving in a way that was true to me instead of a projection. I also started wearing whatever the hell I wanted [laughs]. Today, I dress more for myself and express myself without filter. Any final words of wisdom for someone pursuing their calling? As a kid, I used to have a Rocky poster on my wall. The film’s tagline was, “His whole life was a million-to-one shot.” I could relate. I said it’s do or die. I chased my dream with an immense amount of energy and enthusiasm. I never had a plan B.
I don’t claim to be too wise. I’m a work in progress as a human being, as a professional, but the one thing I can say for sure is: If you have a dream, go for it. You don’t want to look back in life and regret not taking the chance back when time was still on your side. Follow your heart. And now, with a gesture, show us how you feel when your football team scores a goal. World class athletes reflect on their journeys – how their careers have been shaped by themselves and others. Read on to create your very own game plan.